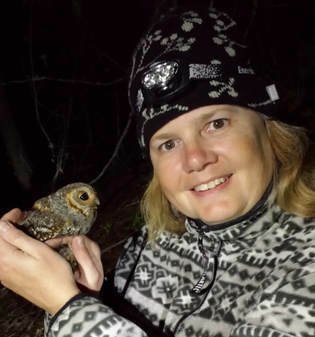 The author of a beautiful, bestselling book, The Hidden Lives of Owls, Leigh Calvez is here tonight with her newest, The Breath of a Whale: The Science and Spirit of Pacific Ocean Giants (Sasquatch Books). “The Breath of a Whale is as intimate and spirited as its title. 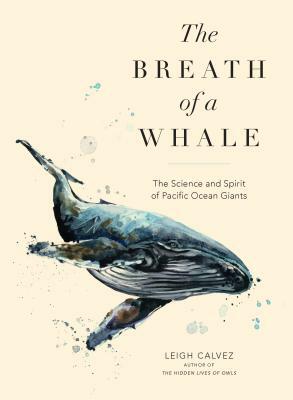 This splendid book offers us the whale watch most of us can only dream of: We get close-up and personal with wild giants, in the company of an expert who feels like a good friend. Because these whales’ individual dramas are so entwined with those of their observer, the insights in these pages are riveting and deeply inspiring. Leigh Calvez offers not only hope for saving these endangered leviathans, but also for saving ourselves.” —Sy Montgomery.